In this interview series we let our members take the spotlight! Today, we are talking to Patrick, a French expat who has now settled in Slovenia. He writes about traveling and living in Slovenia on eSlovénie. Please tell us a little bit about yourself. Who you are, where you come from, when you moved to Slovenia, etc. My name is Patrick, I am from France, and I am an IT consultant. My grandmother was Slovenian, so we spent all our summer holidays in Slovenia since the 1980s. In 2004, I moved here for several reasons and decided to give the expat experience a try. I’ve had several websites or blogs before, but nothing very personal. Last year I started to write a blog about Slovenia and about my life here. The more people are interested, the more I write… Now the blog even exists in French and in English! Do you have any favourite blog entries of yours? Perhaps the one about my trip to Maribor to support a local hero: skier Tina Maze (in French). 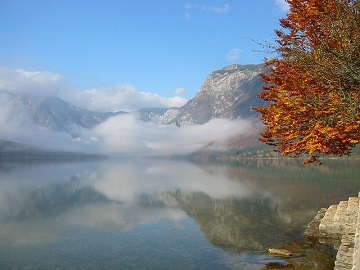 And for English readers, check out my article about Bohinj, where I stayed the first time when I came to Slovenia in 1980. Tell us about the ways your new life in Slovenia differs from that back home. Did you have trouble getting used to the new circumstances? Did you experience culture shock? When I lived in France, I never lived a “100% French lifestyle”, nor do I live as “100% Slovene” now: I always keep my own style. I have changed a few things, but not that many. The “shock” for me now happens when I go back to France. For example, I have to take good care of my belongings there. Where I live, in a small town in Western Slovenia, we can leave our bag/phone somewhere — it’s not a big deal, and you’ll get it back. In France some people “help” you to “forget” your stuff! Do you think you were fully prepared for what awaited you in Slovenia? If you could, would you change some decisions/preparations you made? My decision was taken very quickly. But thinking about it now, I would definitely have taken Slovene lessons before moving to Slovenia. A few years ago, I was supposed to visit Kranj with an oline friend called Grega, whom I had never spoken to nor seen before. We had been in touch via email and had a good laugh. But to my big surprise, when I arrived in Kranj, I found out that Grega was a man, not a woman as I’d expected! In Slovene, most of the female first names end with “A”, but not all, as I discovered. Which three tips would you like to give future expats before they embark on their new life in Slovenia? •	Be yourself and keep your mind. •	Take the first step towards making friends with Slovene locals. •	Leave your stress at home. How is the expat community in Slovenia? Did you have a hard time finding like-minded people or fellow expats? I’m not very connected with expats (I do not live in Ljubljana), but perhaps I should try to connect in the future. How would you summarize your expat life in Slovenia in a single, catchy sentence? Safe and calm, but in touch with the world, close to the mountains and the sea, it’s an ideal place to live as an expat. 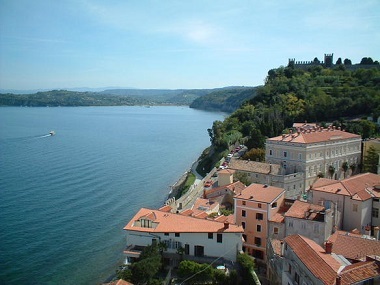 I would like to be able to communicate with you through email concerning our interest in finding a place in Slovenia. I speak French also being French by birth but live in California right now. I don’t know if Patrick still reads this post and will see your comment, as it’s an old archive entry. If you have any questions about housing in Slovenia, why don’t you ask the members of our expat community in Ljubljana?